Cape Town and transfer to your hotel in Cape Town. Morning at leisure. Guided city tour with Table Mountain & cable (weather permitting) during the afternoon. Full day tour of the Cape Peninsula where we also visit seal island at Bay, Chapman’s Peak drive , Cape of Good Hope, Penguin colony. Full day tour of the Cape Winelands, do some winetastings and a tour, visiting the towns of Stellenbosch & Franschhoek. Depart for the Breede River Winelands area via scenic mountain. Wine tasting is the area. Depart on Route 62 via the Klein Karoo for Oudtshoorn (Ostrich capital). Visit the famous Cango Caves & an Ostrich Farm. Explore the Klein (small) & Great Karoo via 2 awesome mountains namely the Swartberg Pass and Meiringspoort. Also visiting the villages of Prince Albert & De Rust. Drive over the Outeniqua Pass to the Garden Route and explore the Tsitsikamma Forest area. Explore more of the Garden Route around Plettenberg Bay and the Knysna Lake district area. Overnight Game Reserve, Mossel Bay area. 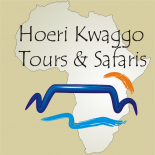 Full day at a Private Game Reserve which include a number of activities including game drives. Return to Cape Town via the scenic N2, Cape Agulhas the most southern point of the African continent, Hermanus and the spectacular Clarence coastal drive. Day at leisure in Cape Town for last minute shopping and relaxing. Day at leisure & depart from Cape Town.